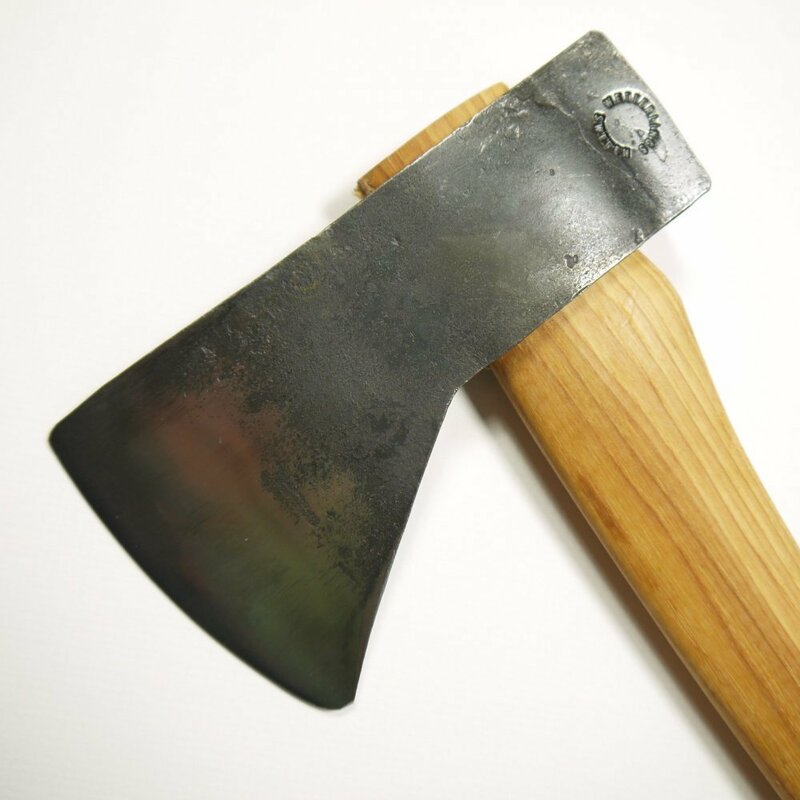 The brand new Hudson's Bay Axe from Wetterlings. From forestry felling and limbing to splitting smaller firewood. Forged by Rikard Jansson, one of the skilled blacksmiths at Wetterlings Axe Forge in Storvik, Sweden. The hard bit has a sharp edge, capable of retaining its sharpness for a long time. 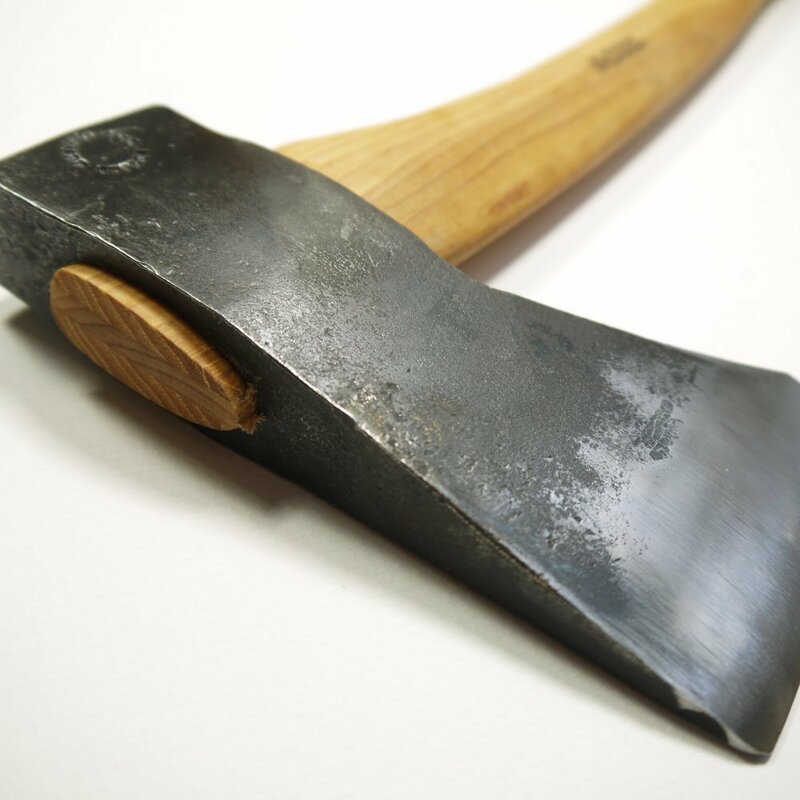 However, during very cold days and when cutting extremely hard wood, this hard and sharp axe has to be used with care. 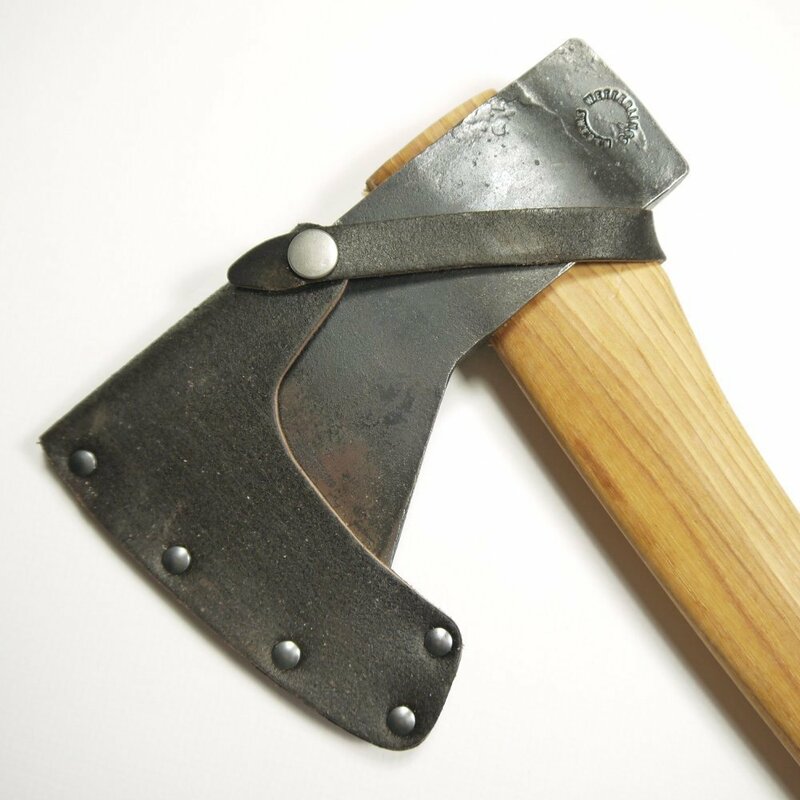 In the old days, axe men put the axe head in the armpit to warm it up before they started axing! Made of Swedish Carbon Steel, the thick robust bit is hardened to 57 Rockwell C. This is harder than most Hudson's Bay Axes on the market. The cutting edge is about 90mm (3 1/2") long. The heel of the bit is rounded. The head features no lugs and a larger than usual poll for extra weight and balance. 2 ½ lbs head, total weight 3lbs with handle. Handle made by Wetterlings is of American hickory. Overall length 60 cm (about 23 1/2”). It is held securely in place, as is traditional, with a single wooden wedge. Delivered sharpened and with a sustainable tough leather sheath. Includes a twenty year guarantee against forging faults.